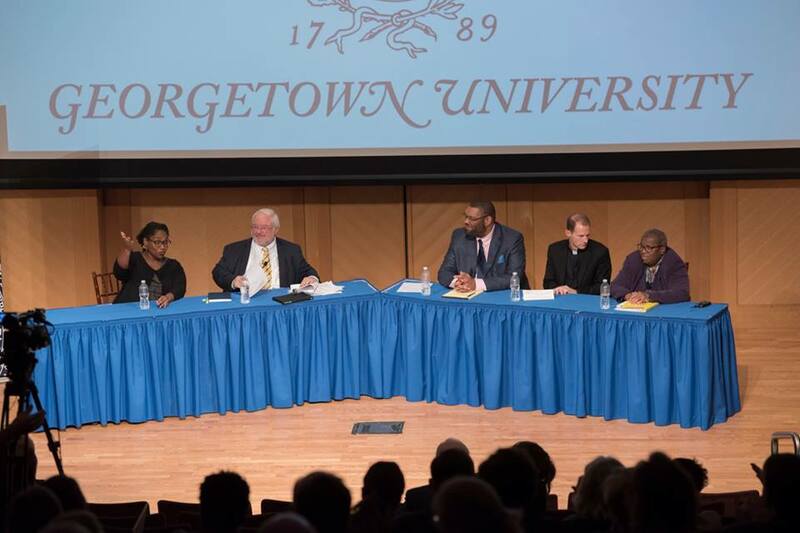 Georgetown has been wrestling with its historical participation in slavery and its responsibilities and opportunities to work for racial justice. 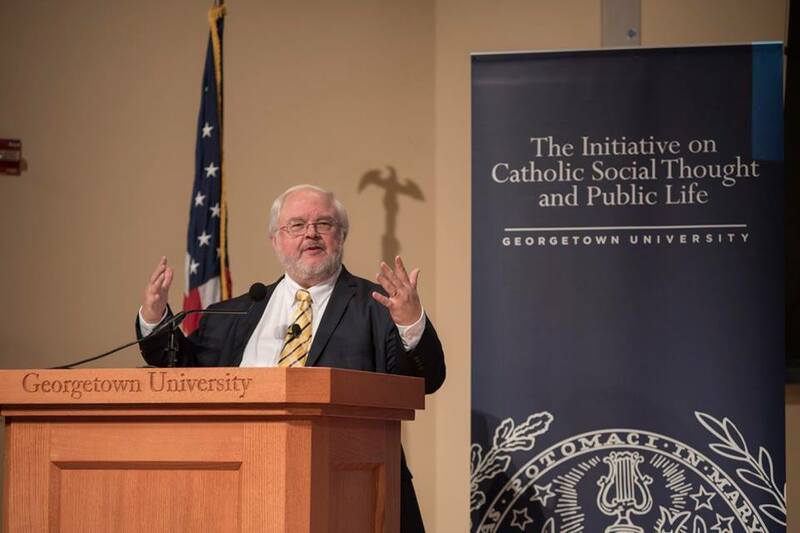 While there had been several Georgetown discussions, there had not yet been any public examination of how Catholic Social Thought shapes a moral response. 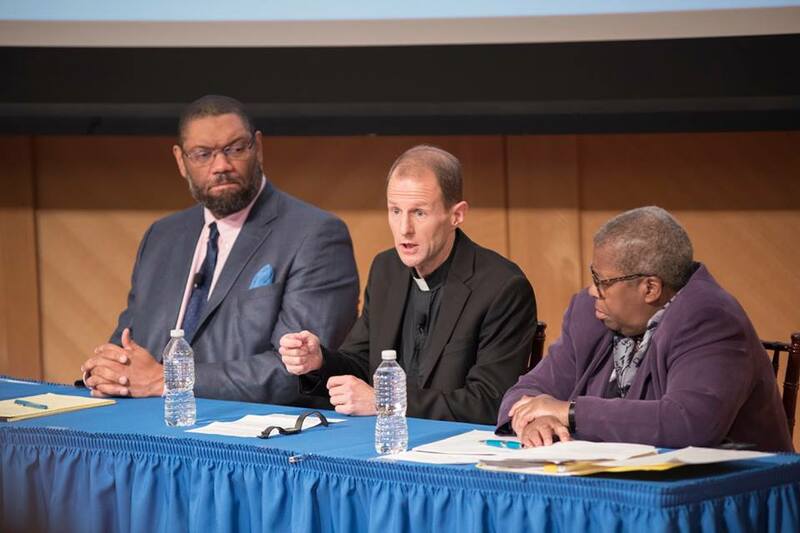 The Initiative brought together leaders of Georgetown’s Working Group on Slavery, Memory, and Reconciliation with other Catholic perspectives to explore the historic implications and way forward. John Carr, the director of the Initiative, moderated the discussion. James Benton is the Slavery, Memory, and Reconciliation Fellow at Georgetown University. Fr. Matthew Carnes, S.J. is an associate professor in the Department of Government and the Walsh School of Foreign Service and a member of the Working Group on Slavery, Memory, and Reconciliation. He currently serves as the director of the Center for Latin American Studies. 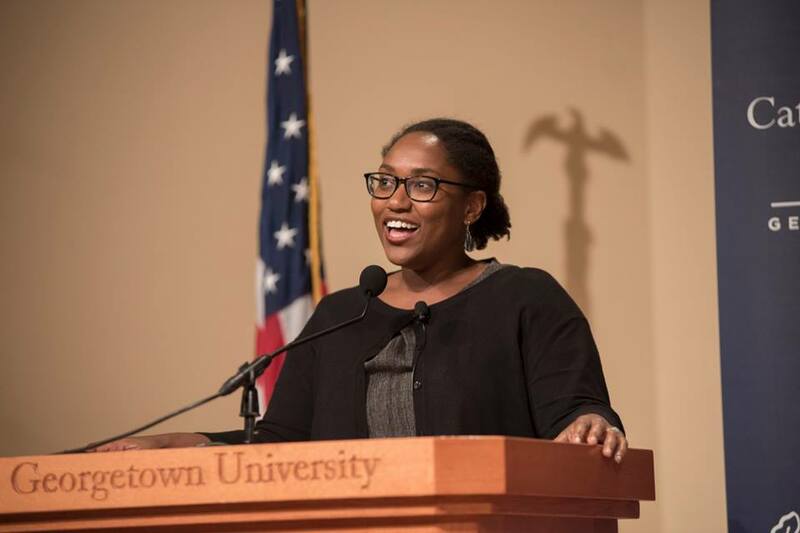 Dr. Marcia Chatelain is an associate professor in the Department of History and researches a wide array of issues in African-American history. She is a member of the Working Group on Slavery, Memory, and Reconciliation. Diana L. Hayes is emerita professor of systematic theology at Georgetown University and author of numerous books on black Catholics in the United States. She was the first African American woman to earn a Pontifical Doctorate in Theology. 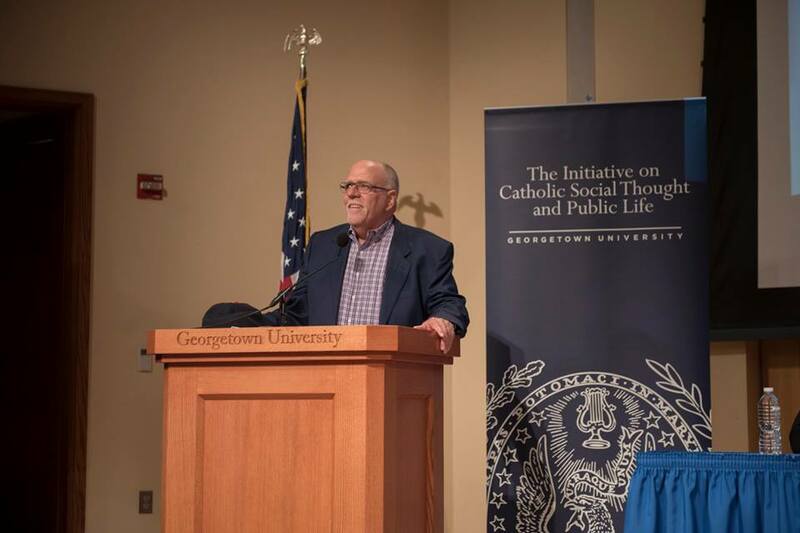 John Carr is the founder and director of the Initiative on Catholic Social Thought and Public Life at Georgetown University and Washington correspondent of America magazine.